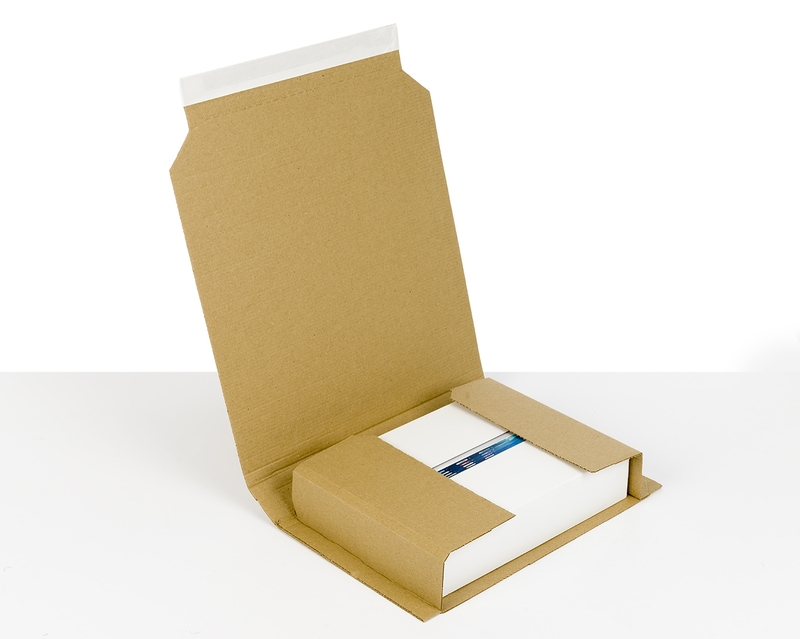 Do you want to deliver your books and/or multimedia products safely? 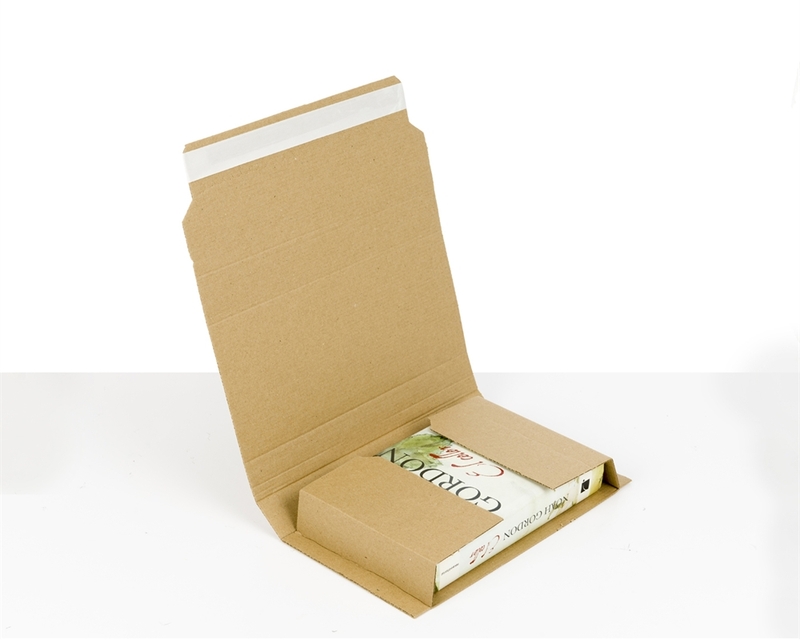 Discover our range of book packaging boxes: by wrapping around your product, our book wrap boxes ensure high-level protection and help prevent movement. 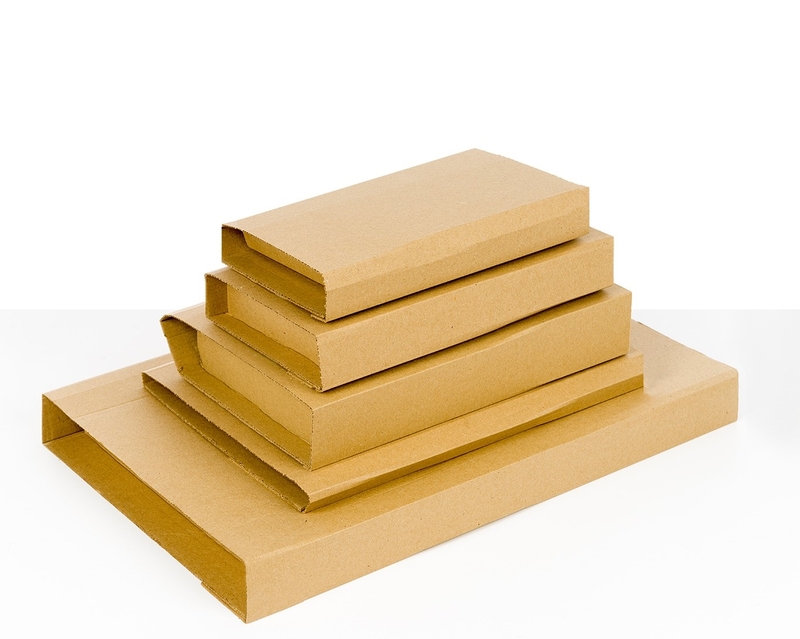 Made with high-quality corrugated paper, our book wrap mailers come in a wide range of sizes to meet your business needs. 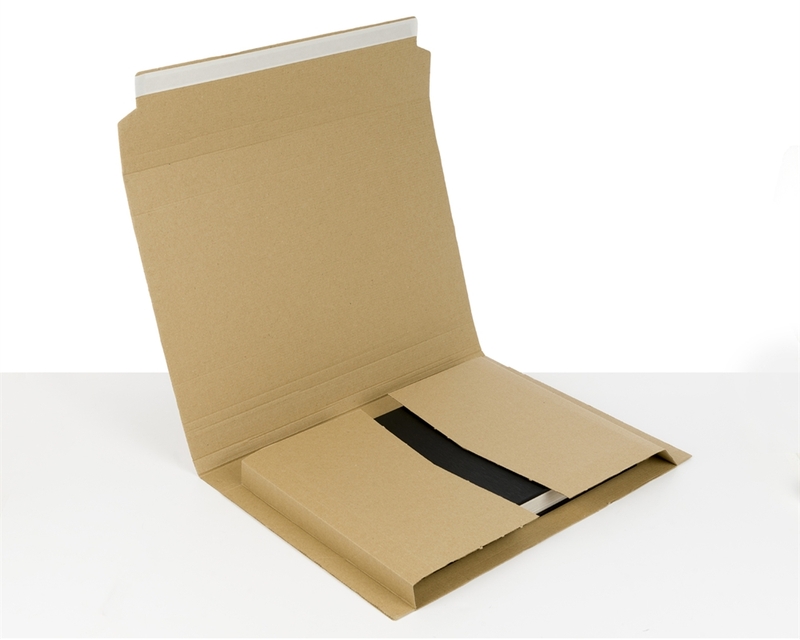 Get rid of void fill and packing tape thanks to this book mailer’s wrapping design and self-adhesive closure. 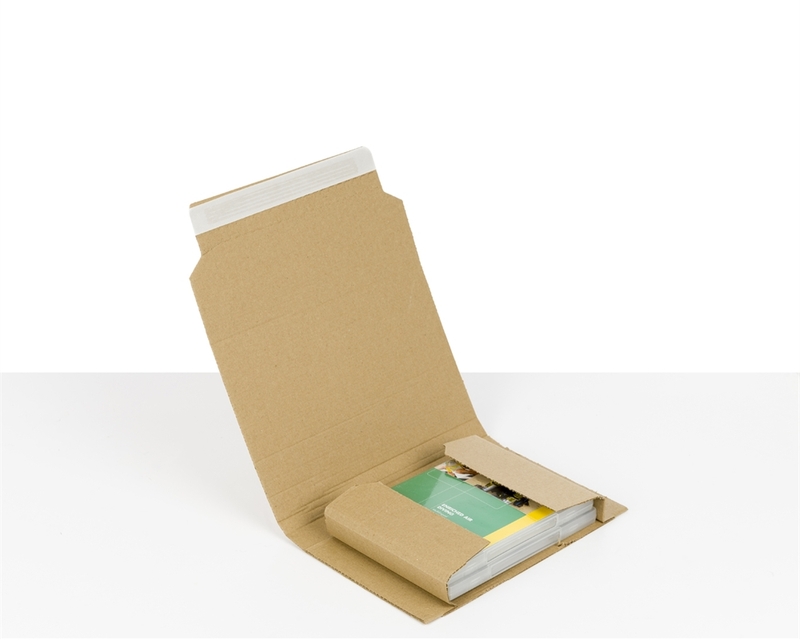 Our book wrap mailers have reinforced edges, providing extra product protection. The self-adhesive closure and tear strip also make it easy to see if anyone has tampered with the parcel. 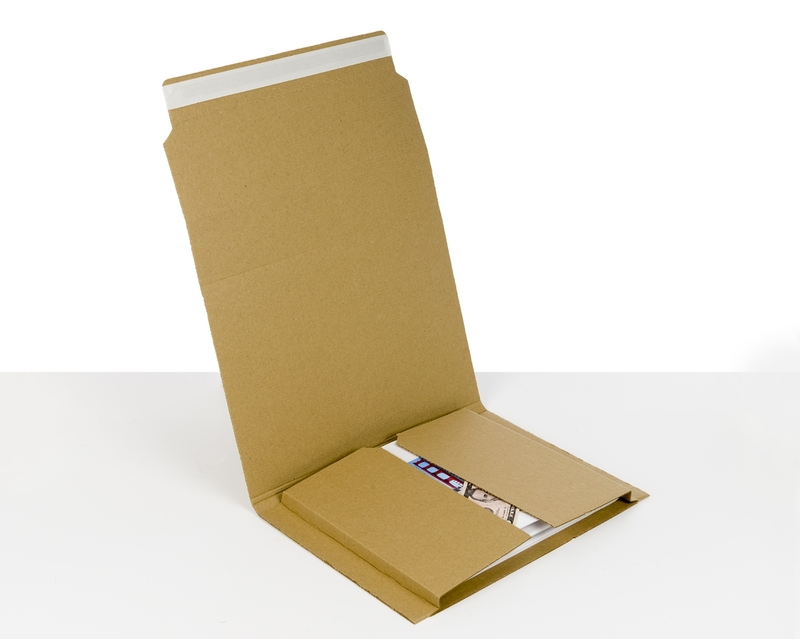 The book wrap mailers have been designed to reduce packing time. Simply place your products inside, wrap and close using the self-adhesive tape.